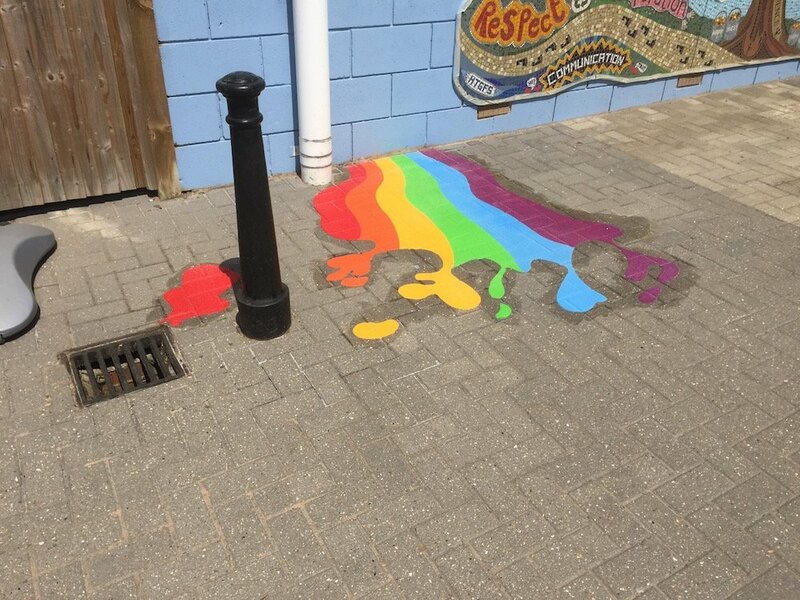 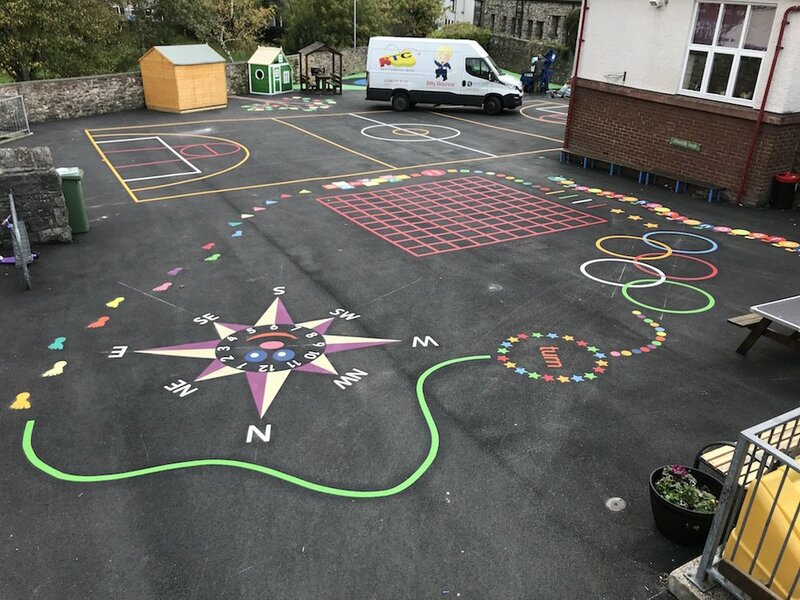 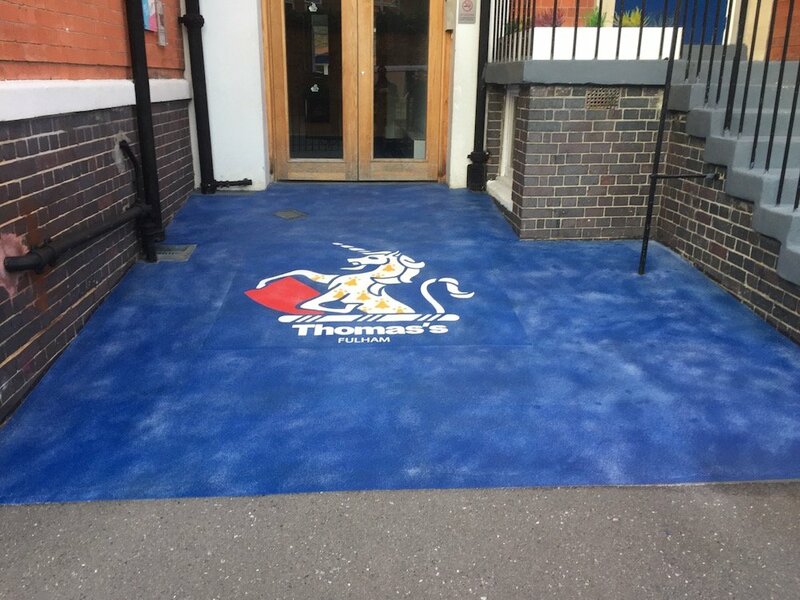 first4playgrounds have recently completed another installation of pre-formed thermoplastic playground markings at English Martyrs Primary School in Sunderland. 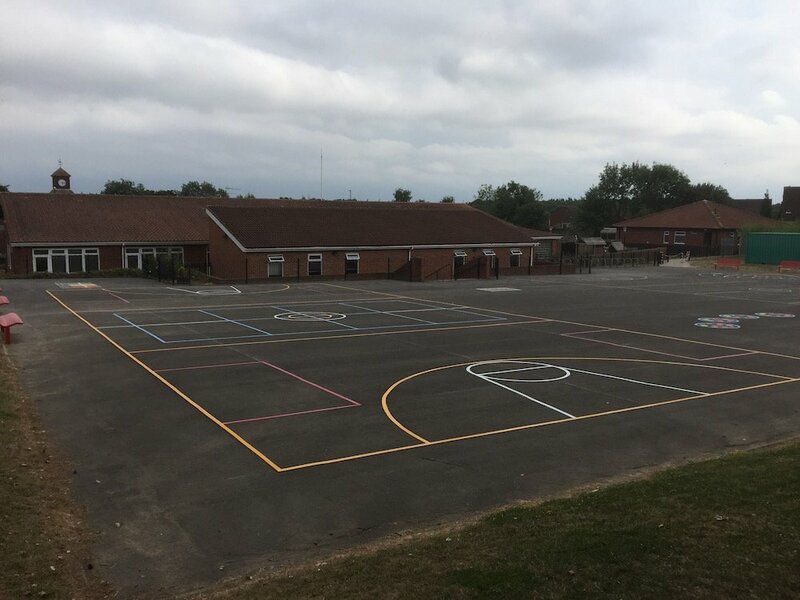 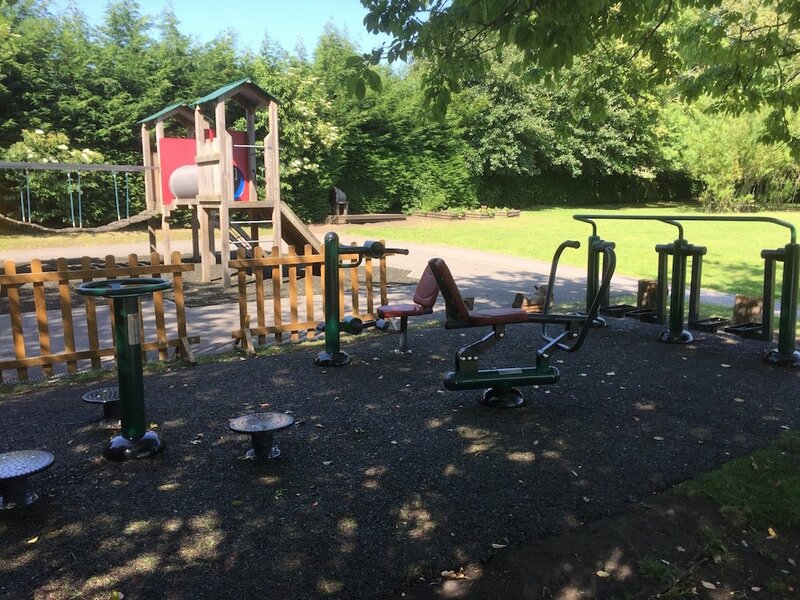 There were two separate playgrounds where the work was carried out, Key Stage 1 and Key Stage 2. 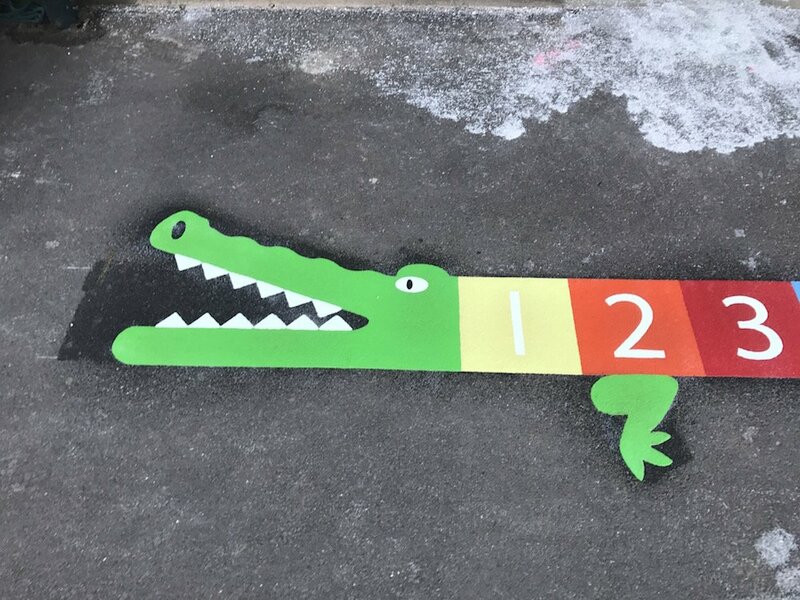 Key stage 1 had a a-z Caterpillar, a 1-25 Dragon, and Activity Trail and a Rocket Hopscotch. 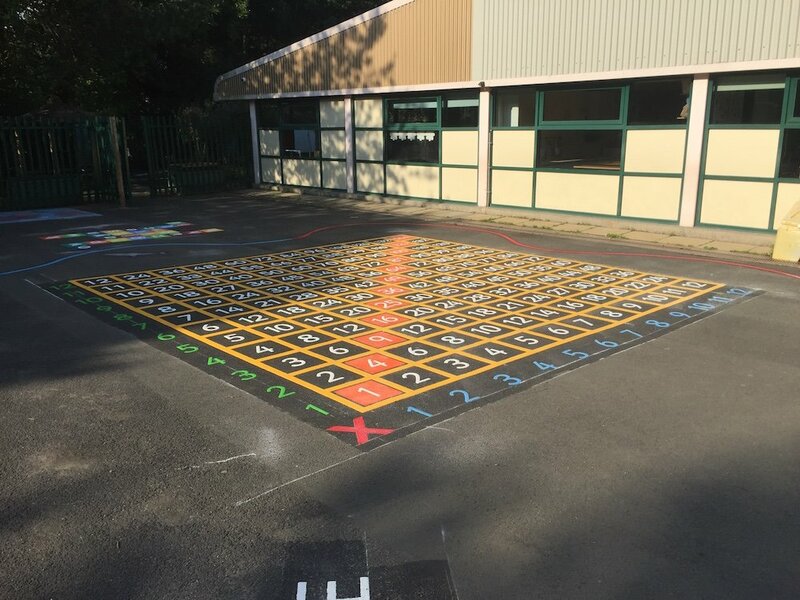 Playground Netball Court and Dance Class Moves in thermoplastic at Englich Martyrs Primary School in Sunderland. 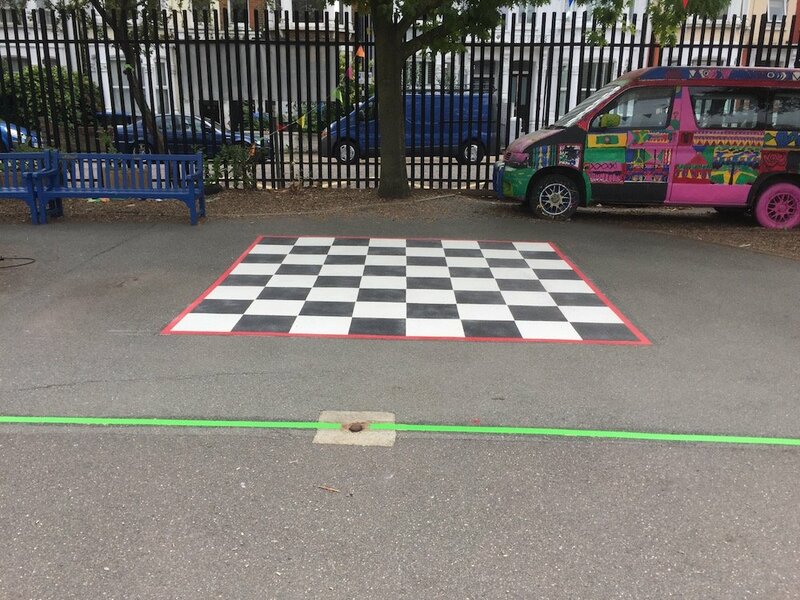 On the KS2 playground we installed a Netball Court, Dance Class Moves, a Maths Maze a 1-36 Snakes and Ladders and a Bullseye Target.